Habitat: Common in England, Wales and most of Ireland in woods, hedgebanks and on waste ground but rare in Scotland. Small brownish-red flowers with white-bordered, rounded sepals. 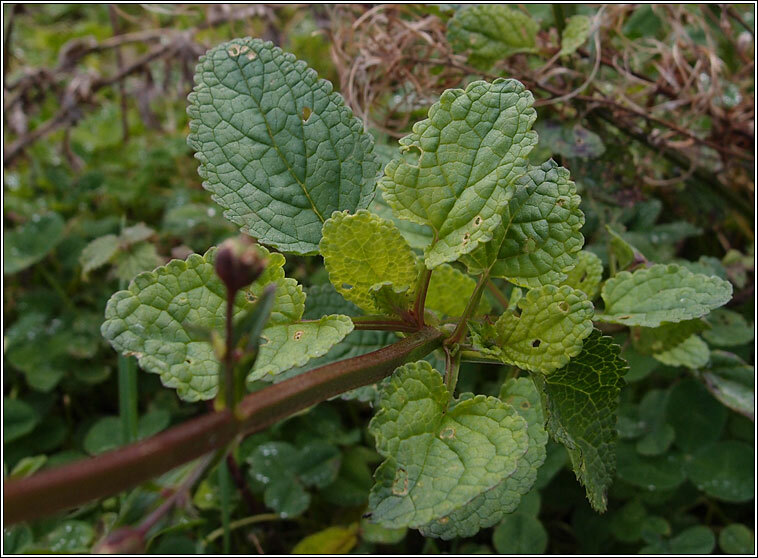 The square stems are 4-winged, leaves are blunt-tipped with blunt teeth, often with 2 small lower lobes. Rhizomes are without tuber-like swellings. 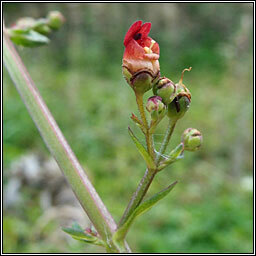 Similar: Common Figwort, S. nodosa. Stems +/- unwinged, rhizomes with many small tubers.